The UAFS School of Education has received national accreditation from the Council for the Accreditation of Educator Preparation (CAEP). On July 1, 2013 the National Council for Accreditation of Teacher Education (NCATE) and the Teacher Education Accreditation Council (TEAC) consolidated to form the Council for the Accreditation of Educator Preparation (CAEP) as the new accrediting body for educator preparation. The Council for the Accreditation of Educator Preparation (CAEP) advances excellent educator preparation through evidence-based accreditation that assures quality and supports continuous improvement to strengthen P-12 student learning. CAEP’s mission is to advance excellence in educator preparation through evidence-based accreditation that assures quality and supports continuous improvement. 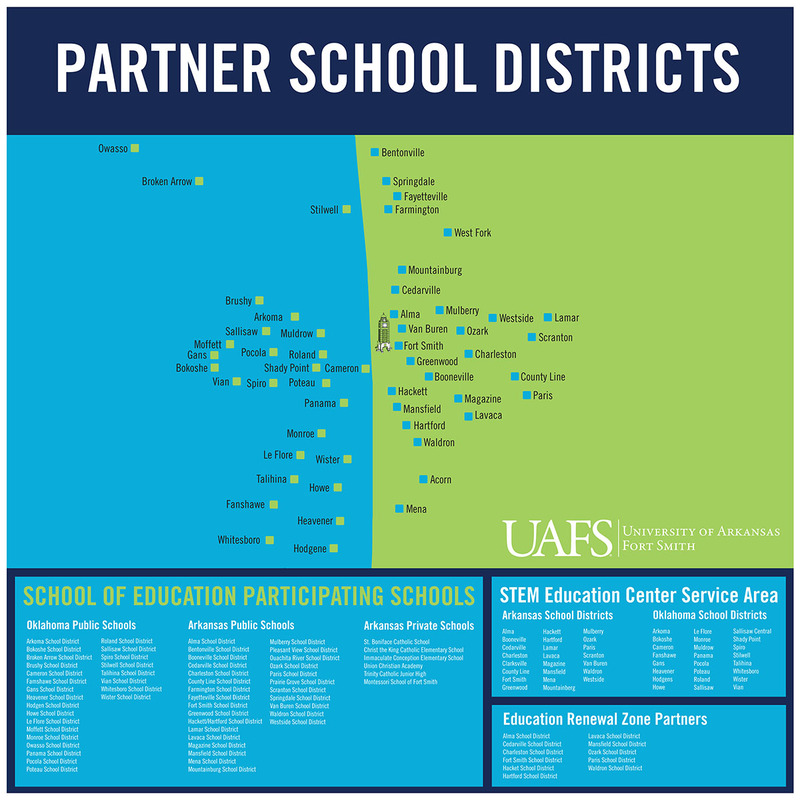 The University of Arkansas – Fort Smith (UAFS) School of Education (SOE) Quality Assurance System, based on the SOE Conceptual Framework, represents an ongoing process that uses authentic, comprehensive, and integrated assessment measures to evaluate the achievement efforts of SOE faculty and school personnel.